During my recent trip to visit family in North Carolina, I found myself shopping in a cute boutique called Southern Season. As we strolled the aisles of trendy gifts and artisan foods, I spotted Owl&apos;s Brew and was intrigued. 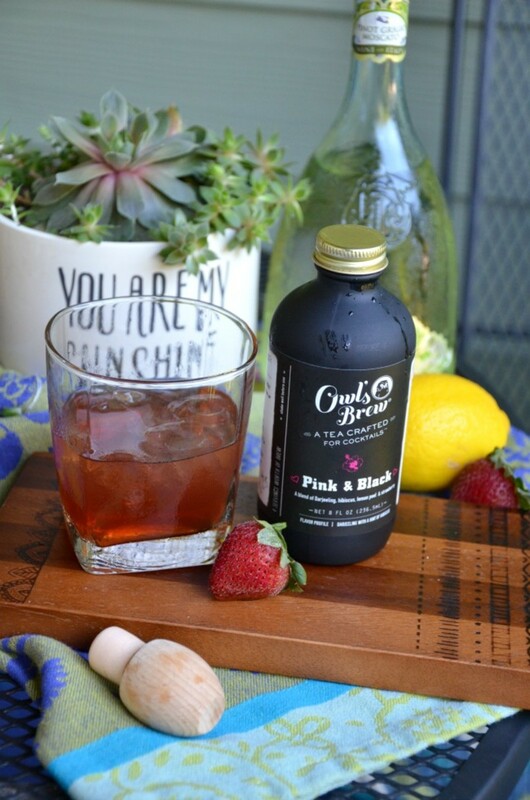 I&apos;m always looking for new ways to spruce up my weekend cocktails, and Owl&apos;s Brew caught my eye. I knew I had to try it. Owl&apos;s Brew is a tea crafted for cocktails which sounds fun, and the best part is that each brew can be paired with several different types of booze. My mom and I mingled around the display and ogled over all the different flavors that are available in these cute black bottles: The Classic, Pink and Black, White and Vine, Wicked Green, and Coco Lada. In the end, we left with a bottle of Pink and Black. 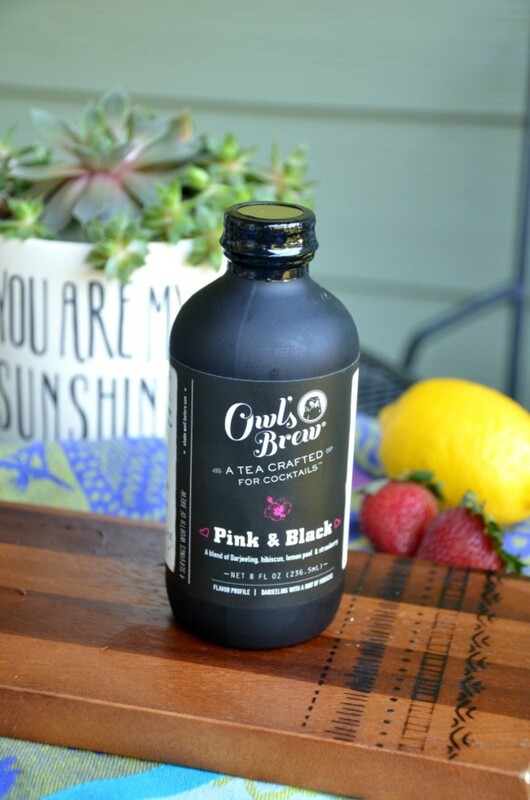 The Pink and Black is a freshly brewed, ready-to-pour black Darjeeling tea with hints of hibiscus, lemon peel, and a splash of strawberry and agave. On the back of the bottle the Pink and Black says it can be paired with whiskey, tequila, gin, amber ale or white wine! Just mix up 2 parts Owl&apos;s Brew and 1 part booze and pour over ice. Later that night, my family tried the Pink and Black mixed with both white wine and tequila. Tequila was the group favorite, hands down. 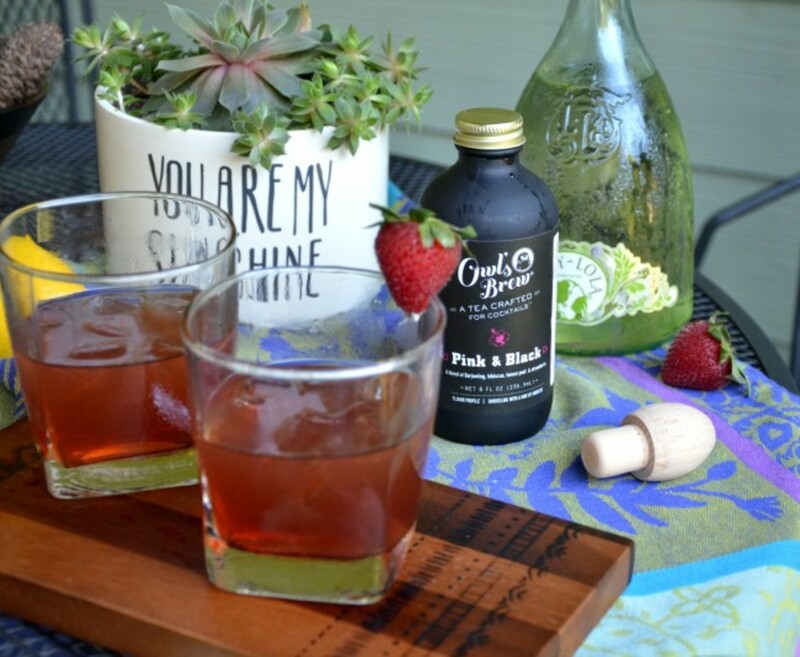 This tea cocktail has a light, refreshing taste that&apos;s perfect for a summer cocktail. I have to say Owl&apos;s Brew was still good with the white wine but, the tequila definitely enhanced the tea flavor, and it was surprisingly smooth with just the right amount of twang. I love the uniqueness of Owl&apos;s Brew and now I wish that I had picked up a few bottles to give as gifts to friends. 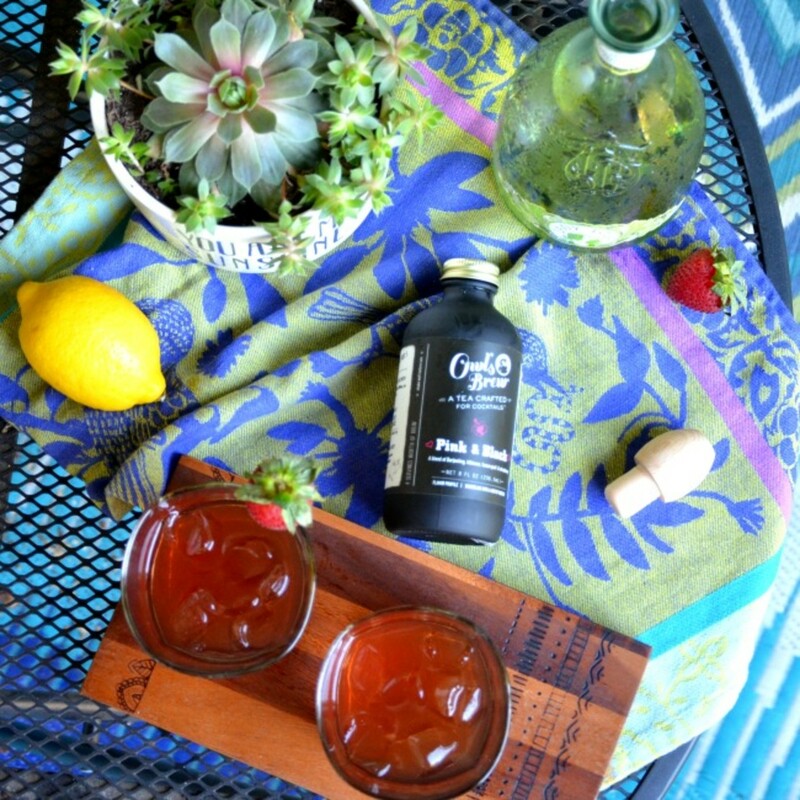 Be sure to check out our other Saturday Sips cocktails and head over to Momtrends to see what they&apos;re sipping on this weekend.